Nike’s recent collaboration with Samuel Ross’ A-COLD-WALL* brought the high-performance Zoom Vomero 5 back onto the streetwear stage after a considerable hiatus on the sidelines. 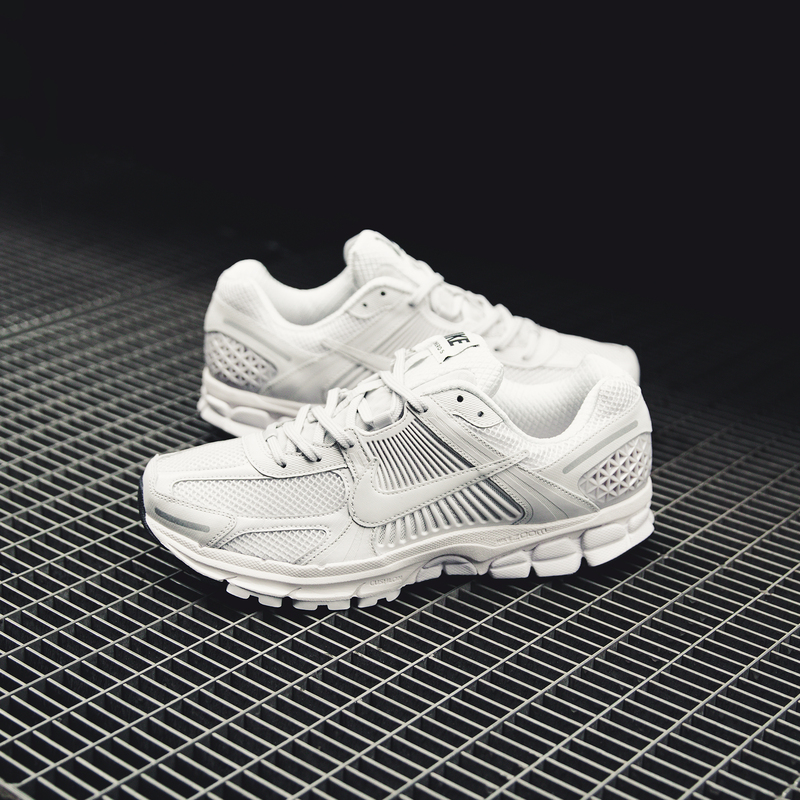 The bold overhaul polarised opinions, with people displaying mixed emotions on the oversized moulded heel piece. Following this controversial edition, Nike has released a couple of pared-back iterations, bringing the silhouette back to its sporty roots. 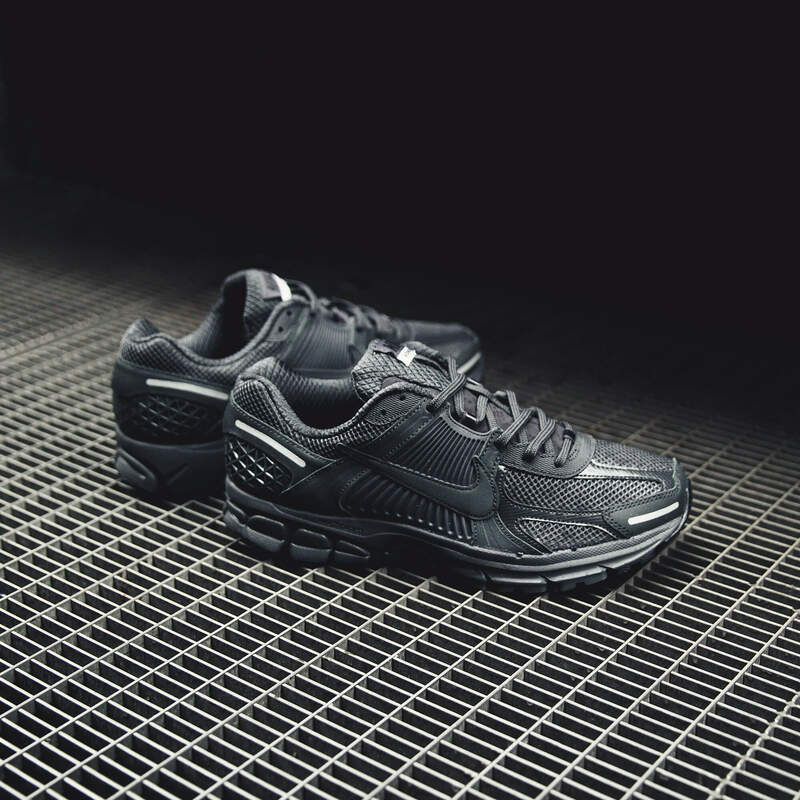 Arriving in understated colourways of ‘Vast Grey’ and black, the slick trainer is embedded with two separate Zoom Air units, which work in harmony to deliver supremely lightweight support underfoot. 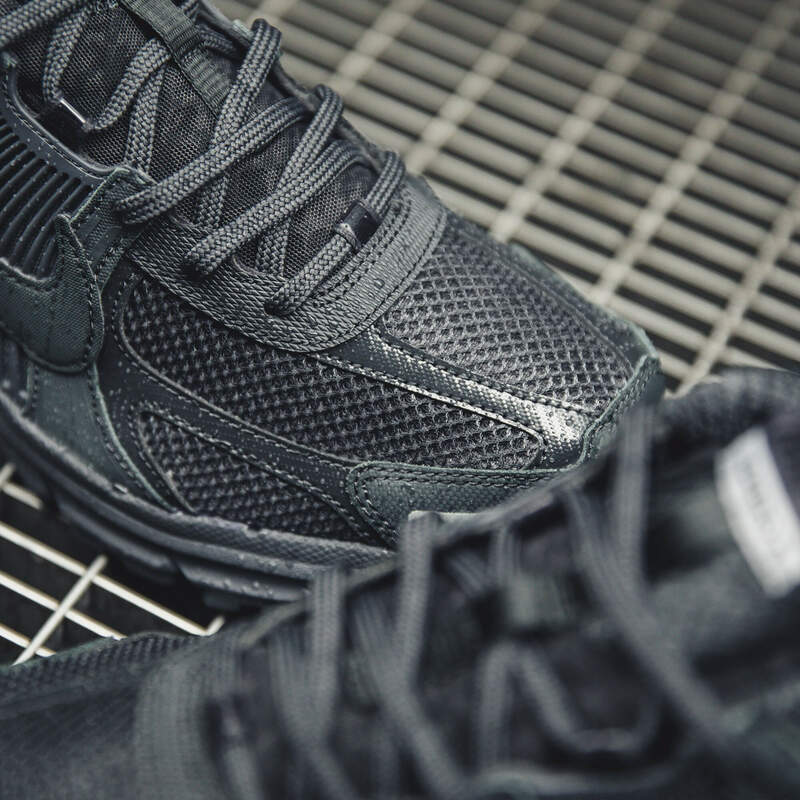 A multi-layered upper wraps your foot in breathable mesh for ventilating comfort, while 3M detailing features to the heel and toe to keep you visible in low light. Signing the runner off, a rubber outsole ingrained with an aggressive rubber tread pattern, guaranteeing trusty traction on a range of surfaces.